Ultimate Blockchain tokens’ platform WAVES has enjoyed substantial success at the start of its ICO, raising 4,683 BTC (just shy of USD$2 million) by the end of the first day alone. The opening hours of the ICO saw the platform flooded with new users signing up and depositing bitcoins. Although all transactions are recorded on the BTC Blockchain and there was never a risk of funds being lost, the huge interest and activity effectively DDoS’d the server and for some time it was unclear how much had been raised. When the hit rate slowed and the server was able to catch up, the reasons for the problem became clear: in the first six hours alone, deposits totalling $1 million had been made. Over the remainder of the first day, investors continued to send funds, with the result that just short of $2 million was raised in 24 hours. The Ethereum contract that was supposed to record all bitcoin deposits on the Ethereum Blockchain proved to be faulty. However, all funds are now being moved with a script to the multi-sig Coinbase wallet every 30 minutes, so totals can be tracked easily at the following address: 3DWBSSAue32YS8PcW2gLs6m52BCCv3UgDA It is a time of significant ICOs, with other recent offerings raising millions of dollars in funding. WAVES has similarly caught the interest of the cryptocurrency community and proven extremely popular – boding extremely well for the development and marketing of the platform in the coming weeks and months. With a focus on user adoption, crowdfunding and integration for fiat tokens, development on WAVESis continuing throughout the ICO and the first lite clients should be ready for use at the end of the fundraiser, or shortly after the process finishes. The ICO will continue for another 6 weeks until 31 May. The 2.0 crypto initiative will be designed to solve real-world problems and with mass adoption in mind from the start. 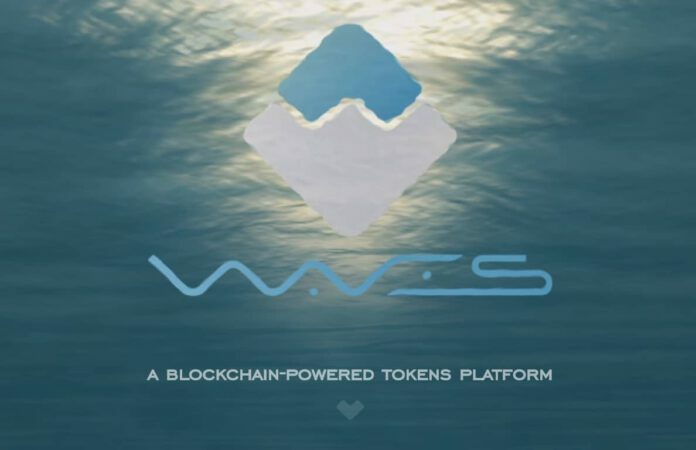 WAVES, a versatile new custom tokens platform, will aim to bring the benefits of Blockchain technology to crowdfunding, securities trading and fiat money transfers. The platform will focus on integration of national currencies through compliant gateway operators, allowing users to employ GBP, USD, EUR, CNY and others for Blockchain operations, rather than relying on a native token subject to volatility through changing supply and demand. In the context of the concerning move towards permissioned Blockchains, WAVES will offer financial institutions an open platform fit for purpose and suited to the demands of KYC/AML regulation. It will also include anonymity features, a must for industry-grade trading platforms. Decentralised Kickstarter WAVES will initially focus on several key applications. A decentralized token exchange will facilitate fundraising, crowdfunding, and trading of financial instruments on the Blockchain. Asset- to-asset trading will be enabled from the start, meaning that any currencies and assets can be used to pay network fees, thereby placing minimal burdens on end users. Two-tier architecture WAVES is positioned for accessibility and mass adoption from the outset. The network is built on the Scorex platform, which develops an approach based on using current network state as an alternative to full transaction history. WAVES will use a variation of the proof-of-stake consensus mechanism, Leased PoS (LPoS), which enables lightweight clients to use their balances to maintain network security whilst leaving staking itself to full nodes. This two-tier architecture means end users will only need lightweight clients, facilitating easy installation. Interfaces familiar from existing online banking and trading apps will enable a flat learning curve. The concern for usability is reflected in the use of plug-ins to enable new transaction types. Other platforms include these in the core, which lead to regular and mandatory hard forks.